Customer engagement has never been more important to marketers looking to get their brand message out to market. 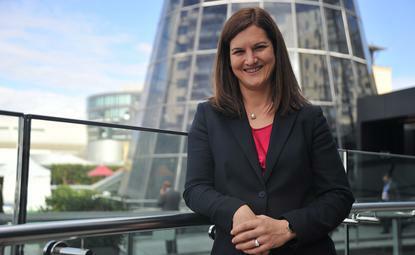 NAB’s marketing chief, Sandra de Castro, says it’s also the foundation the group is banking its long-term business survival on. Last September, de Castro’s team was put in charge of NAB’s customer value proposition (CVP), shaping strategy and managing execution. The team is getting involved in end-to-end development processes for new products and services as well as change management, ensuring all aspects of the business are aligned to the same customer objectives. De Castro sees this customer custodianship as a natural fit given marketing’s immediate impact on customers and closeness to the market. “We’re almost reclaiming the real role of marketing, which I would argue is around demand management,” she tells CMO. “It’s therefore really important marketing sits around the table and contributes to customer strategy. At NAB, we sit right at the heart of the way the whole bank defines the CVP. “The tendency is that every little piece of the puzzle evolves almost independently from one another and you end up with this stable of disconnected processes. We’re becoming the facilitator of that process to keep the business aligned as change occurs. De Castro’s strength in strategy has been a cornerstone of her professional career and in fact provided her with the entrée into marketing. Having studied biology as an undergraduate in Oxford, de Castro changed tack and decided to look for a business role. She joined London-based boutique strategy consulting group, Corporate Value Associates, and over a 15-year tenure, rose to partner. The job gave her the opportunity to see inside all sorts of businesses not only in the UK and Europe, but also globally. De Castro worked primarily on the demand side of strategy including customer segmentation and interaction, CRM and design. She also helped develop the methodologies CVA used to understand customer engagement and bring that style of thinking to its clients. At CVA, de Castro worked with several large financial services and banking clients such as ING. When she decided to move to Australia in 2008 and a strategy and marketing role in NAB’s business banking team came up, she leapt at it. “I’d had a lot of experience on the strategy side and in many cases, marketing is very much about reflecting those strategic objectives and goals,” she says. One of de Castro’s biggest achievements has been supporting the banking group’s work to become a more customer-centric organisation, a vision which culminated in the ‘break up’ campaign launched in February 2011. The campaign has been described as a watershed moment for NAB in its quest to differentiate its consumer brand image from the other big banks. It has also been heralded a great example of an integrated and impactful marketing program. De Castro says the idea stemmed from the vision of NAB’s group CEO, Cameron Clyne, who joined in 2009. “What the break up campaign was actually trying to communicate was a strategic change of direction for the organisation that positioned the brand as making banking fairer for customers,” she says. The major bone of contention was the fee structure NAB and other banks relied on as a revenue stream. When Clyne joined the group, 50 per cent of consumer complaints were about one specific fee: The overdrawn account fee. “The real issue, however, was that 50 per cent of complaints from consumers had been about that fee for 10 years,” de Castro recalls. “And what you’ll find is that fees will be at the heart of the complaints every other bank gets. In 2009/2010, NAB’s senior leadership team abolished many of its personal account fees, writing off more than $300 million in revenue. It also reshaped the way the personal banking business operated. “The view Cameron took was that in the longer term this is just unsustainable as a business,” de Castro says. “The reality is that if something is deeply unpopular with your customers, then you need to be thinking about other ways to make money. While the changes were going full-steam internally, NAB was still suffering from consumer cynicism around the big four banks. Enter the ‘break up’ campaign, a strategic marketing program that started with an NAB employee tweet and was followed by PR break-up stunts, content marketing, advertising campaigns, owned media and a new slogan, ‘more give, less take’. De Castro attributes the campaign’s success to its roots in wider organisational objectives. “This is a business strategy that has a communication dimension,” she claims. In recent years, de Castro and her team have strived to stay in the same story. For example, it is now working to portray how NAB is providing “more of the good stuff and less of the bad stuff”. But improving customer engagement goes much deeper than communication, and NAB’s marketing team has also taken responsibility for the bank’s bigger customer engagement strategy. De Castro admits customer centricity isn’t something organisations can ‘solve’, nor does it come with a clear schematic. But improvement on intent is something that can be measured, and NAB is using a range of customer satisfaction metrics, such as Net Promoter Score, to do this. Customer engagement in an organisation requires a customer strategy that can be measured, de Castro continues. “We’re looking to what behaviours or actions we would like customers in each segment to be taking… because the issue with satisfaction has always been that while it’s indicative of how happy or otherwise people are with you, it’s quite intangible,” she says. “It’s about using every metric you’ve got, but also shaping metrics through the business around what it is you’re trying to achieve with your customer strategy. Like her CMO peers, de Castro is increasingly being asked to demonstrate marketing’s ROI in terms of revenue impact, and to contribute to a sales target by delivering outcomes. “I have a broad role, which stretches from supporting our investment banking business to mortgages and it’s a lot easier to measure the mortgage activities than producing ads for the investment banking community,” she comments. “The issue with metrics is that they’re not universal and they’re hard to fit together. But certainly larger parts of the marketing budget are becoming measurable, which is fantastic news. De Castro admits gauging brand health is harder to track than a short-term consumer campaign but argues both still need to be done. “The metrics can be seductive because you’ve got a number you can run to. But measurement just because it’s easy doesn’t mean you should do it,” she says. Working in a bank that records millions of transactions a year means de Castro has access to significant reams of data to both understand customers better as well as innovate the way it communicates with them. And not surprisingly, NAB has a sophisticated customer analytics team that makes up about one-third of its total marketing headcount. Among NAB’s more established marketing data capabilities are predictive modelling and CRM, and de Castro sees more opportunity to bring in new digital and direct data sets, such as housing market information, to inform and enrich customer engagement and relevance. The group is working with data consultancy firm, Quantium, on this for both consumer and B2B businesses. De Castro is also keen to drive further personalisation and close the data loop. “We have a wealth of data and predictive analytics that we do offline, but it has historically been difficult to close the loop between all of that offline knowledge and modelling we do, and what happens online,” she explains. “The challenge with data and analytics is actually to execute. With all the different tools and analytics techniques that have emerged recently, we have this almost endless capacity to innovate, but that’s also where the over-promising happens. Over the next 12-18 months, de Castro is looking to continue building on marketing’s importance at the executive table, as well as its role in customer strategy. Ensuring every activity is engaging is the other key focus. “Consumers are bombarded from so many different directions that they’re actually getting really good at switching off. For me, engagement itself must exist in any execution, whether it’s a brand or product execution – it’s a ticket to the game,” she says. To do this, de Castro’s team has coined a phrase: ‘Banning beige’. “We have a standard that we put ideas across to determine whether it’s beige or not beige and if it is beige, we’re not doing it,” she says. While readily admitting marketing is a deeply complex game, de Castro remains excited by the opportunities marketing has to contribute to business growth.